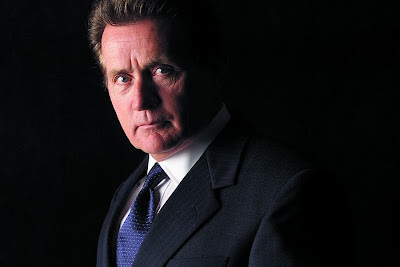 By tradition American Catholicism's highest honor, the University of Notre Dame has awarded this year's Laetare Medal to... Martin Sheen. A native of Dayton, Ohio, Sheen was born Aug. 3, 1940, one of 10 children of a Spanish-born father and an Irish-born mother. His legal and baptismal name is Ramon Gerardo Antonio Estevez, but he later adopted his stage name in honor of the pioneering televangelist Archbishop Fulton Sheen. After his graduation from Chaminade High School in Dayton, Sheen claims to have intentionally failed his entrance examination for the University of Dayton in order to pursue an acting career of which his father disapproved. Borrowing money from a priest friend, he went to New York City, working with Julian Beck’s Living Theatre and eventually landing a widely acclaimed role in the 1964 Broadway play, “The Subject Was Roses.” During this period, he became fascinated by Dorothy Day and the Catholic Worker Movement, visiting and volunteering at the Catholic Worker’s houses on Manhattan’s Lower East Side. Sheen has played numerous award-winning television and film roles, most notably an amoral young murderer in the 1973 film “Badlands,” a disintegrating American soldier in the 1979 film “Apocalypse Now,” a bemused journalist in the 1982 biopic “Gandhi,” and the itinerant French co-founder of the Catholic Worker movement, Peter Maurin, in the 1996 film “Entertaining Angels.” From 1999 to 2006, on NBC's widely acclaimed television series "The West Wing," he played a soulful American president who was a Notre Dame graduate. A self-described Catholic peace activist, opponent of abortion and student of Catholic social teaching, Sheen acknowledges his spiritual debts to St. Francis of Assisi, Mother Theresa of Calcutta, Dorothy Day, Rev. Daniel Berrigan, S.J., and the late labor leader Cesar Chavez. He often has been arrested as a participant in nonviolent demonstrations against various U.S. military policies and has enthusiastically donated money, time and his celebrity to such causes as the alleviation of poverty and homelessness, human rights for migrant workers, and environmental protection. Among the 130 previous recipients of the Laetare Medal are Civil War Gen. William Rosecrans, operatic tenor John McCormack, President John F. Kennedy, Catholic Worker foundress Dorothy Day, novelist Walker Percy, Cardinal Joseph Bernardin, and death penalty abolitionist Sister Helen Prejean. The medal will be conferred at the university's 163rd commencement in South Bend on 18 May. "At the Mercy of Terror"
Leap Day = Groundhog Day? Conversion "That Lasts a Lifetime"
A Home for the "Politically Homeless"